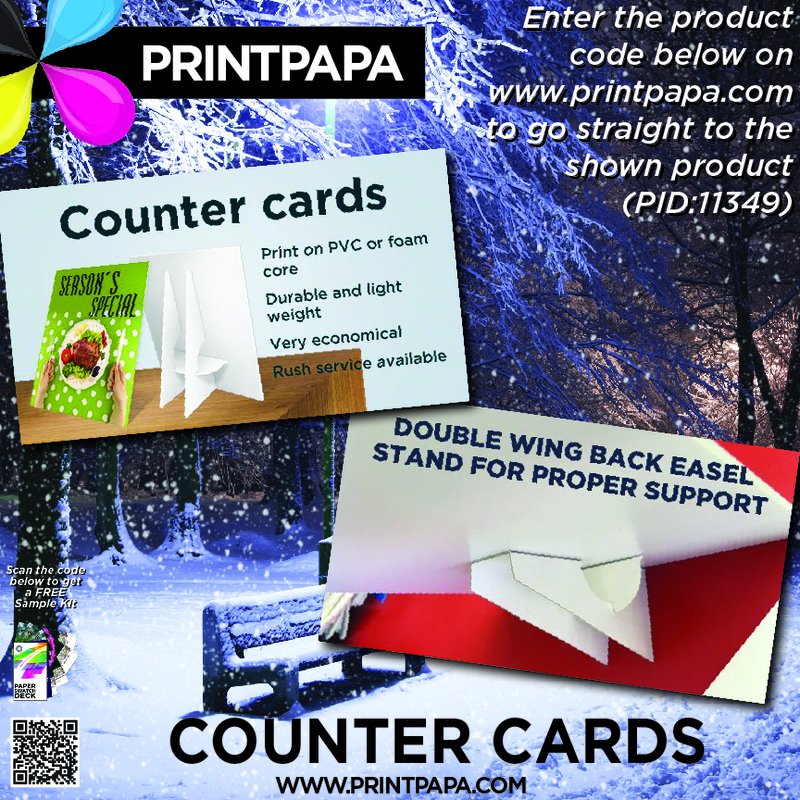 Counter Cards are commonly used as point of purchase displays, service menus, event signs and trade show displays. Smart way of using prime real estate for practically FREE. This entry was posted in Marketing on December 15, 2016 by Shawn Nag.